The Ever Forward Club (Oakland) works with boys and young men to promote greater self awareness and awareness of others - both critical components to social emotional learning and character building. Their efforts include work in schools and trainings of educators and youth workers. They were also featured in a documentary entitled The Mask You Live In. Ashanti Branch, Founder and Executive Director of the Ever Forward Club, was a featured presenter and workshop leader at the recent How Kids Learn VII conference in Oakland, CA. 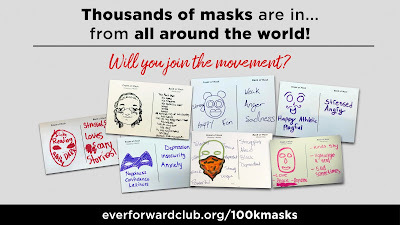 The Ever Forward Club has launched a #100Kmasks challenge. 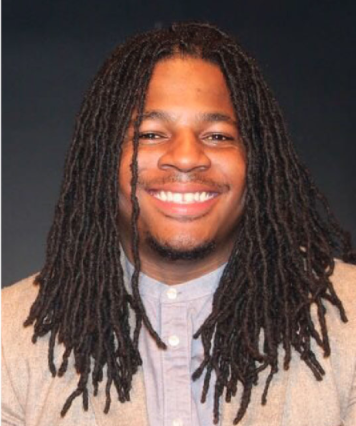 Below is an interview with Darius Simpson, Program Officer at the Ever Forward Club, about this challenge which can involve both adults and youth. Q: Can you say a little bit about the Ever Forward Club? A: Ever Forward aims to address the underlying causes of dropouts, the growing achievement gap of inner-city youth and youth violence in a preventive manner. The Ever Forward Club is a mentoring and youth development program for young men in grades 6-12. We have 3 programs, Ever Forward Club, Ever Forward Professional Development, and Ever Forward Experiences. Ever Forward is featured in a documentary called, The Mask You Live In (view the trailer below), which is an exploration of American Masculinity and how the hyper-masculine narrative of what it means to be a man, is failing our boys. Q: Can you describe the #100Kmasks challenge? A: The #100kMasks Challenge is a resource we provide to give a brief introduction to the larger work of the organization. With this challenge, we are connecting 100,000 people around the world to show that we are not alone in what we are going through. Students, parents, educators, families, employers, can all take advantage of this tool to build a deeper connection through taking the steps in this exercise. Our work is centered around young men, the #100kMasks cards are a way for us to reach more than just the youth we work with directly. Q: Why was this challenge created? A: Ever Forward was featured in the documentary about American masculinity detailing the toxic ways we define and teach masculinity to our youth. Following the premiere of the documentary, The Mask You Live In, we began traveling all over the country with our signature 'Taking off the Mask' workshop. We wondered how we could make this work more impactful especially for those communities who could not afford to hire us. So using some of our design thinking principles learned at the Stanford D.school, we prototyped, tested and launched the mask card and set a goal of 100,000 masks. So far, we've found that, no matter the age or gender when people see each other's masks, it resonates and there's a community formed from that connection. Q: What is the significance of the "Mask"? A: A mask is a metaphor representing what we allow the world to see about ourselves. We all wear masks for different reasons, at Ever Forward we don't believe the mask is an inherently bad thing. Sometimes a mask is necessary to survive, get from one place to the next. What we've found is that when people, young men specifically, don't have a space to take off their masks and deal with what’s really happening for them, the mask becomes a part of them. That's where the conversation about what is living in what we call "the back of the mask" comes into our workshops and circles. Q: How can people get involved? For those who work with youth, how can they involve their youth? A: We set a big goal and we really need the community's support in reaching our 100,000 mask goal. Folks can visit 100kmasks.com to let us know how many youth they work with and we can provide them with the tools to take them through the #100kMasks Challenge. We can also be reached @everforwardclub on all social networks. Please follow us, help connect us with people who we can partner with and who may be interested in funding this work. 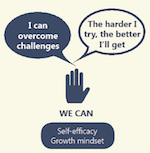 Q: The Expanded Learning 360°/365 collaborative is focused on promoting social emotional learning and character building and has defined this using three areas: We Are (self-awareness, self-management), We Belong (social awareness, interpersonal skills), We Can (self-efficacy, growth mindset). How does your mask exercise and workshop address these three areas? A: The Ever Forward Club was started to provide a safe space for young men to build connections in a brotherhood and to grow into men of character by helping them to develop healthy social-emotional tools. 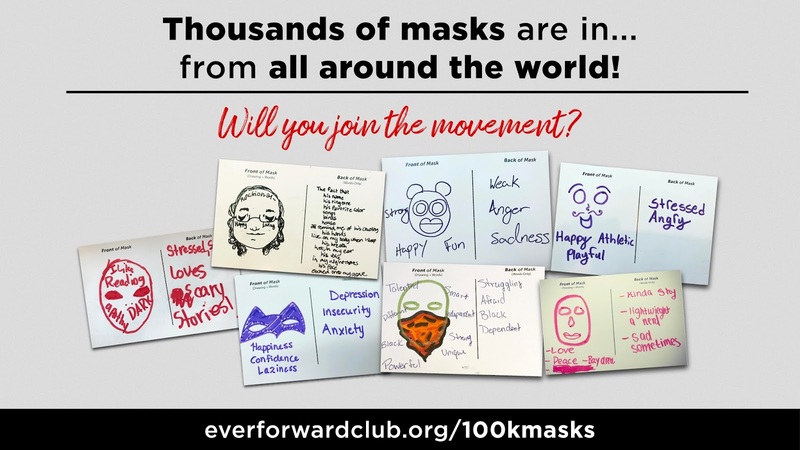 The work that Ever Forward - Siempre Adelante does with the Ever Forward Club, the Taking Off The Mask workshop and the #100kMasks Challenge is directly related to the areas that the collaborative has highlighted. 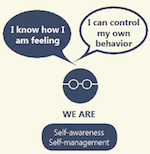 We Are: We help people see their individual unique selves and acknowledge what are the parts of themselves that they allow the world to see. Once they acknowledge this, they can see those things that they are perhaps not dealing with. We Belong: Once individuals recognize that they are not the only ones who are going through challenges, it helps them to more deeply connect to belonging to their own humanity and connection to others. We Can: I think that once people realize through our workshops or through seeing other masks in this campaign the encouragement is that they can make it, they can overcome the challenges that they face and most importantly they are not alone. The social-emotional learning framework is so rich and sometimes young people and adults have one or two areas well organized and contextualized, but there are some of the areas that are in need of support and assistance. Our campaign is not designed to focus on any one area in particular, but we find that it helps individuals come alive to a deeper knowledge of themselves. Darius Simpson is an award-winning spoken word artist born in Akron, Ohio. He received his Bachelor’s Degree in Political Science from Eastern Michigan University. Darius uses poetry as a tool of healing, informing, and challenging his audience. His work was also featured in the film, Finding the Gold Within, a documentary by Karina Epperlein on what it means to be a young black male in America. Currently, Darius lives in Berkeley, CA and works as the Project Manager for the Ever Forward Club's #100kMasks Challenge. Before moving to Berkeley, Darius participated in several screenings and conferences, sponsored by Temescal Associates.